Looking for another rare item to add to your vintage gear collection? 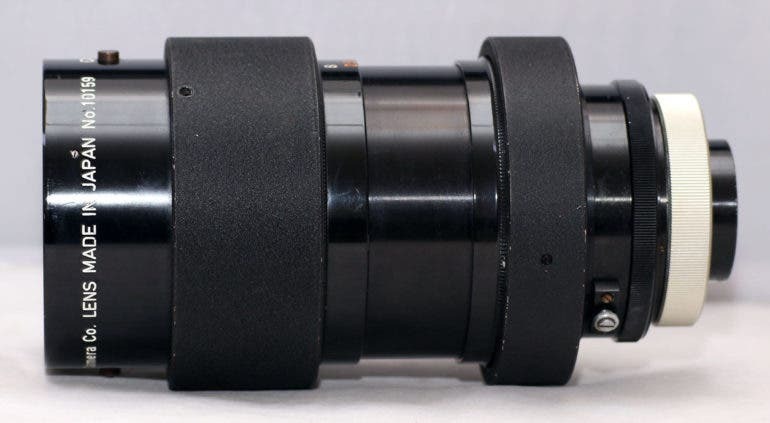 Apparently, it doesn’t get any rarer than this prototype Canon lens. It’s time once again for us to give all you vintage gear fans and collectors our latest ebay find. Today, it’s yet another ultra rare item that apparently has an interesting history: a Canon 45-200mm f2.8 (C35) prototype lens. 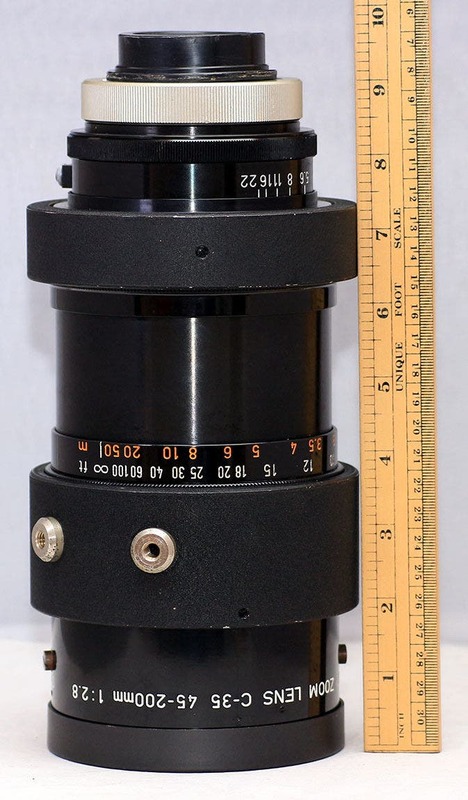 There’s a good chance that you haven’t heard of this lens before, but if the details in the ebay listing are correct, it could very well be one of the most intriguing lenses anyone can have in their collection. While this lens has been floating about for a while, most of the online sources point to the ebay listing description by Dubai-based smokegrafix (looks like the seller has been re-listing this item). There, we are told that the lens was introduced in 1959 in a press release, but Canon never released it commercially. They reportedly only made four to five prototype models and only famous filmmakers were said to have tested it. 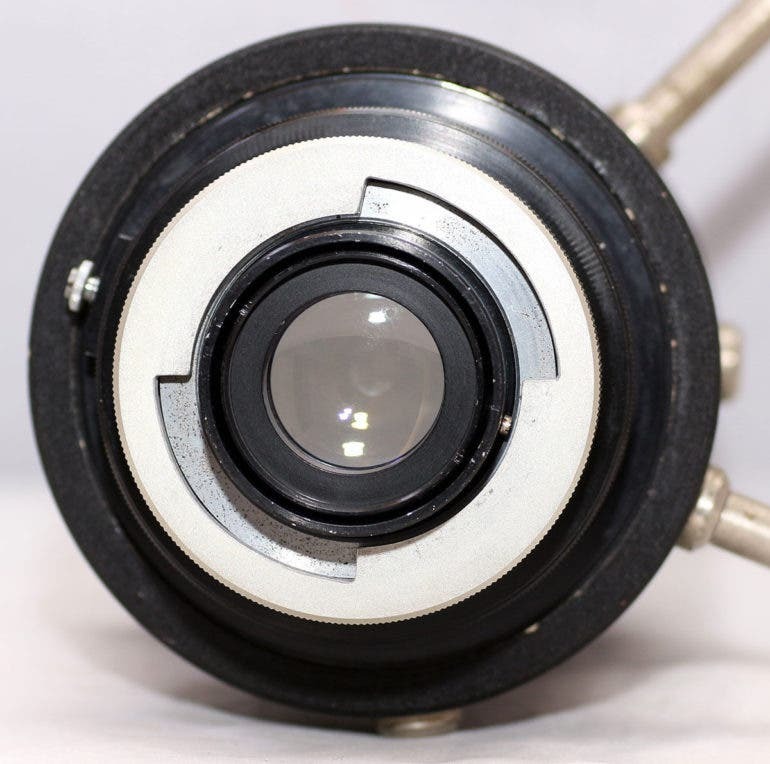 Today, there are most likely only around two or three individuals who still have this lens — including the very prototype listed. “It was never seen before and never sold before in the whole ebay selling history,” the listing also boldly claimed. As for other bits of history of this lens, Canon Watch’s research led them to Popular Photography Magazine reporting about Canon’s announcement for a 45-200mm f2.8 lens for their 35mm Canonflex system. This system came with the R lens mount, so this lens might be in the same mount. 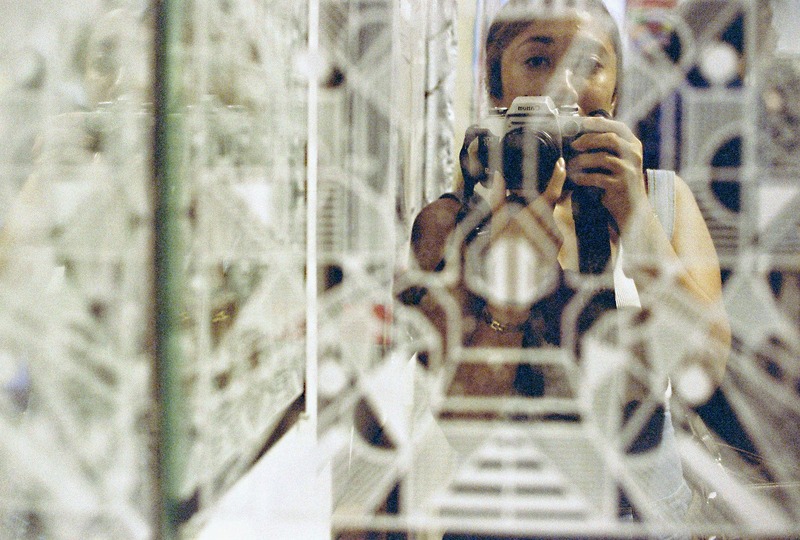 However, the Canon Camera Museum doesn’t have it in their R mount section. According to the listing, this Canon 45-200mm f2.8 (C35) prototype lens, which weighs around 2.8 to 3 kg, is in Excellent+++ condition, both cosmetically and optically, with perfect mechanical, clean blades. 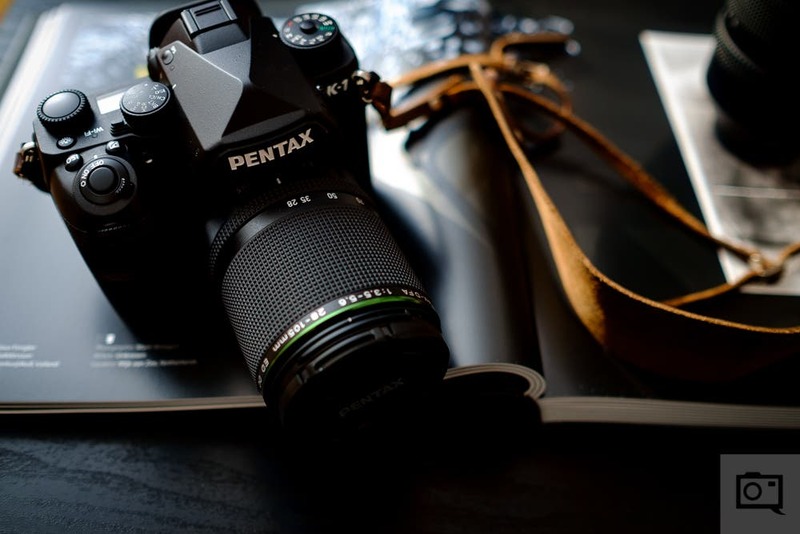 It has a unique aperture feature that lets you choose between click and click-free aperture by just screwing and unscrewing the click screw on the aperture ring. 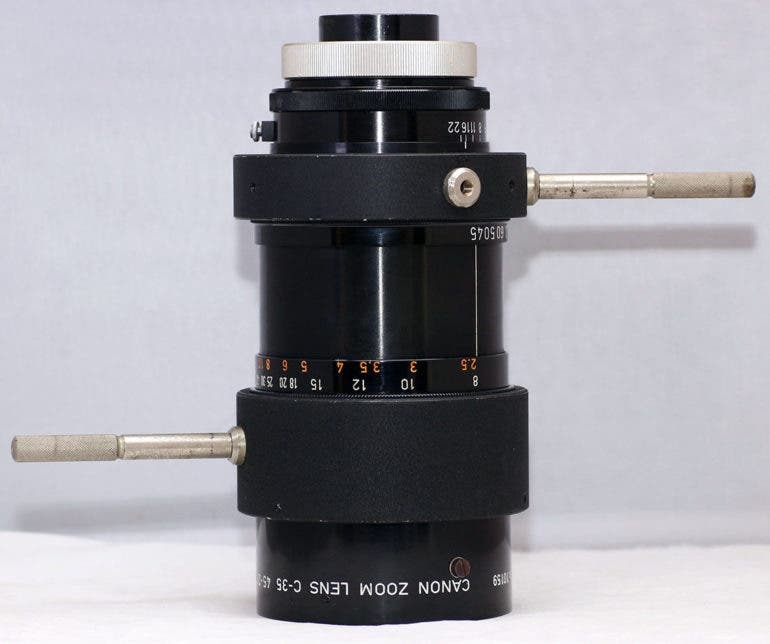 This lens was also recently serviced to clean the optics. The rear optic has a small nick on the coating in the corner, but was properly cleaned from fungus and won’t affect the image quality. A filter is also attached on the front element along with professional follow focus gears. Lastly, it comes with the original metal, heavy duty box, original front cap, filter, hood, and a lens sliding attachment rig. 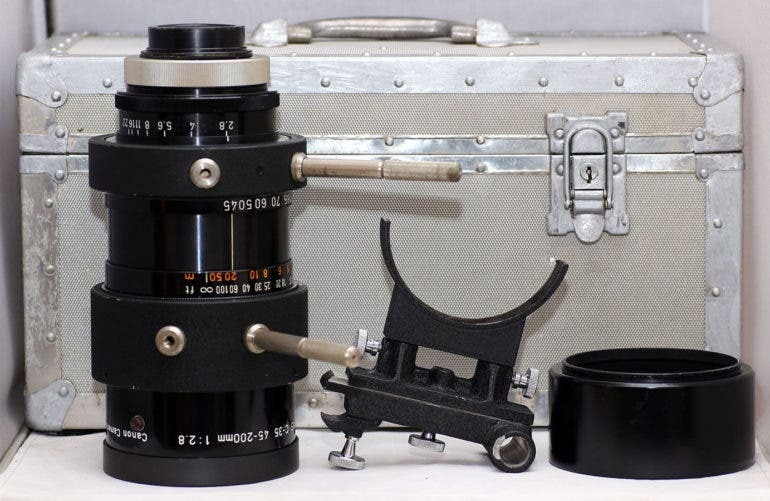 If you’re willing to part with $29,999 and take a leap of faith to grab possibly the “rarest prototype lens on Earth,” go ahead and check it out on the ebay listing.